Everyone wants to know the economics of solar system in terms of ROI. While ROI is a typical metric for calculating the investment as a whole, SunRenu goes one step further and calculates the IRR (Internal Rate of Return) which is the equivalent to a rate of return you’d get in the stock market. ROI’s can be as low as 2 years in some States, and as high as 12. The median IRR range for solar systems across the United States are 8% - 12%. Solar works as the sun hits the solar panels and the energy goes through to your main electrical panel. So as sure as the sun rises, your money is working for you. If the sun doesn’t rise, then we all have bigger problems! Most residential solar installations are mounted at an appropriate tilt facing due south. If your roof does not face that way, don’t worry, the angle will only slightly hinder the production output. No matter what angle your home faces, the savings will depend on your energy usage and roof availability. SunRenu Solar has completed solar installations on roofs with composite shingle, concrete tile (flat and S), flat roofs, shake, clay tile, foam, I-beam truss, built up roofs, and many more. Click on the Quick quote field above to get a customized solar proposal for your home. Commercial solar systems come in a variety of applications. Commercial solar can be extremely lucrative to the business Owner. Whether you are a business or a not for profit, there are customized solar solutions for you. SunRenu has specialized in commercial systems since 2008, and along with our installation expertise, our solar finance expertise has allowed us to move small commercial projects forward through financial structuring. Commercial Utility rates are lower than residential, and in some States if hard to make pencil. SunRenu, as a competitive solar Contractor has numerous ways to provide the best value of a solar system to give you the highest probability at the largest savings. SunRenu is Arizona’s only pure play commercial solar Contractor and is on the State Procurement Contract for Solar Energy Systems. The building value increase is also not to be ignored. 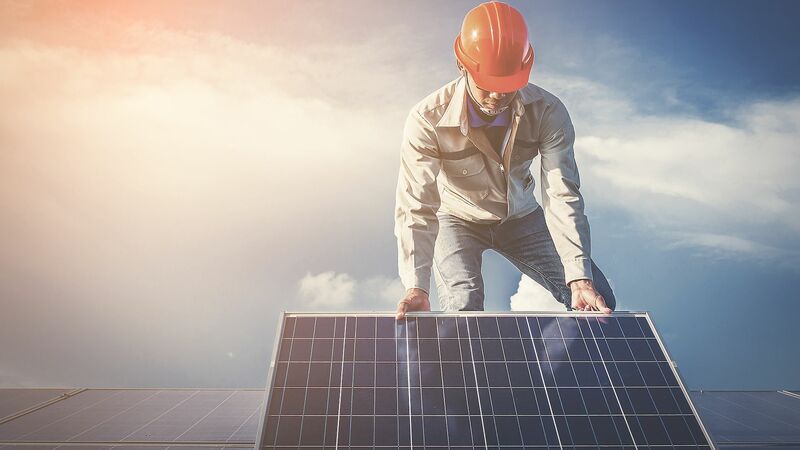 If solar is put on a building that is sold, in the current environment, solar energy systems can increase the building value by up to 150% of the cost of the system through energy saving to increase the Net Operating Income (NOI). Customers that have a short term hold on their commercial building should take a hard look at solar for their exit strategy. Fill out the Quick Contact field above to get a detailed proposal on how solar much solar can save you long term.